Going back a ways for this one! This is actually my first topsy turvey cake with a little quilting thrown in for good measure. 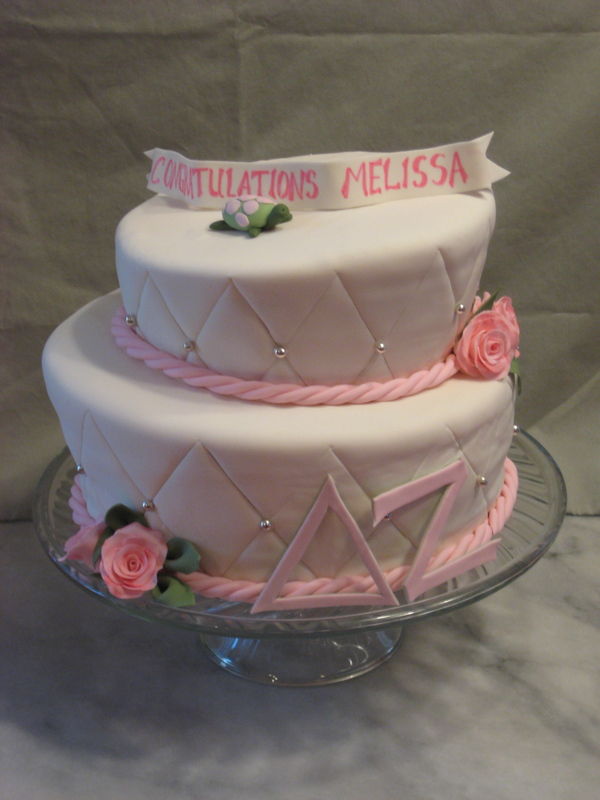 This is my Delta Zeta cake, a grad cake for a sorority girl.